You don’t need harmful chemicals in your body, on your skin, or in your air. Here’s what to avoid (and what you’ll never find in our products). Your body absorbs almost everything you put on it, and sometimes what you’re putting on your skin could be worse for you than you think. Although the regulations have come a long way, there’s still a lot of grey area when it comes to what ingredients are listed on the labels of your favourite products. Thankfully, there’s some easy ways to avoid harmful chemicals (hint: it starts with choosing 100% natural products). We believe it’s important to know what’s in your products -- just as important as it is to know what’s in your food. That way, you can make informed decisions about what to use on your body as well what you put in your body. We list every single ingredient on our labels, so you can confidently choose products that contain only ingredients you are comfortable absorbing through your skin and breathing in. If you think reading personal care product labels is trickier than reading food labels, you’d be right. Food is regulated differently than skincare, fragrance, cosmetics and other care products, so the labels are more comprehensive and easier to read. When you’re reading personal care product labels, you not only need to know the ingredient names to avoid, but also what’s being hidden from you. For example, when a label lists ‘fragrance’ or ‘parfum’, that’s only part of the story. “Fragrance” can be a concoction of any number of potentially harmful ingredients, so you may have no real idea of what you’re actually putting on your skin. More and more research is coming available every day, demonstrating the harmful effects of toxic, synthetic ingredients. Here’s the top ingredients to avoid in your personal care products. Sometimes listed as ‘fragrance’ and sometimes as ‘parfum’, this ingredient on a cosmetic or personal care product is more complex than it seems. Fragrance is often a blend of dozens to hundreds of chemicals, and is a common ingredient in many products designed for your body: from the obvious (colognes and perfumes) to the less obvious (shampoos, body wash, deodorants). Fragrance is also used in household cleaners and laundry products. Because fragrance could be composed of any number of about 3000 ingredients, you may never know what irritates your skin or your nose. Even more insidious is the fact that some ‘unscented’ products aren’t actually free of scent. Instead, they contain a different chemical cocktail that works by preventing your brain from perceiving the scent. Our products have only the aroma of essential oils: nothing more. Because of their unique healing properties, essential oils not only add a beautiful scent to all our products, they help your body recover, positively affect your mood, and have only side benefits, not side effects. Parabens are one of the most popular skincare preservatives, in part because they are cheap to produce and because regulations allow for them. Found in products like makeup, body washes, deodorants, shampoos and facial cleansers, parabens are usually used to extend the shelf-life of a product. When looking for parabens on your product label, look for any ingredient name that ends in ‘-paraben’, such as methylparaben, butylparaben and propylparaben. Parabens are easily absorbed through the skin, and are widely thought to be a hormone disruptor. When they enter your body, their chemical structure mimics estrogen, and has been linked to reproductive issues and other health concerns. We use innovative, natural ingredients (like the radish root ferment in Carrot Lotion) and natural preservative blends to keep our products fresh over time. We also blend and ship our products in small batches so that fresh ingredients don’t sit on the shelf for too long before you take them home. Silicones are a versatile, clear fluids that gets added to skincare and haircare for their ability to create a silky smooth finish, and allowing products to glide over the skin. It also works as an emulsifier to prevent things like lotions and conditioners from separating. Any ingredient name that ends in -cone or -siloxane (like dimethicone and cyclotetrasiloxane) is considered a silicone. We create skincare that supports your skin’s natural functions, and helps it heal from the outside in. Our blends are emulsified with natural ingredients that create a smooth, yet nourishing effect on the skin, like shea butter, grapeseed oil and jojoba oil. 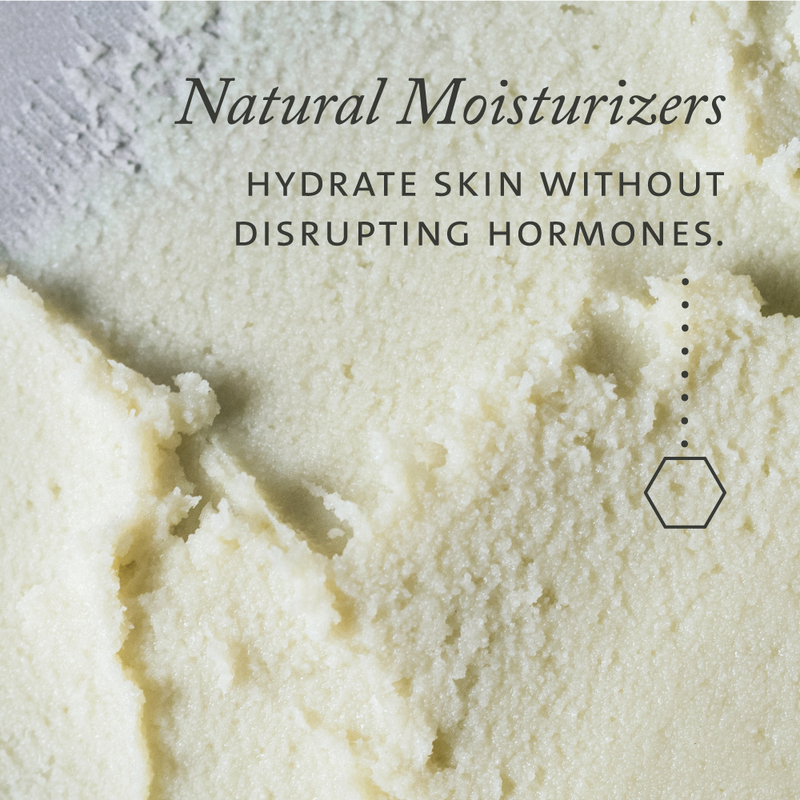 We believe that achieving healthy, glowing skin doesn’t require silicones, which are just a surface-level solution. Used as a detergent in products to make them bubble and foam, SLS (sodium lauryl suphate) and SLES (sodium laureth sulphate) are both harsh cleansing agents that can damage the lipid layer of your skin. If damaging your skin wasn’t bad enough, this allows for other, potentially toxic chemicals to absorb into your skin more readily. As well, when SLS is used in combination with other chemicals, they can form carcinogens called nitrosamines. Look out for these ingredients in lotions, soaps, shampoo, bubble bath, toothpaste, dish soap, laundry detergent, shaving cream -- and anything else that creates a lather. 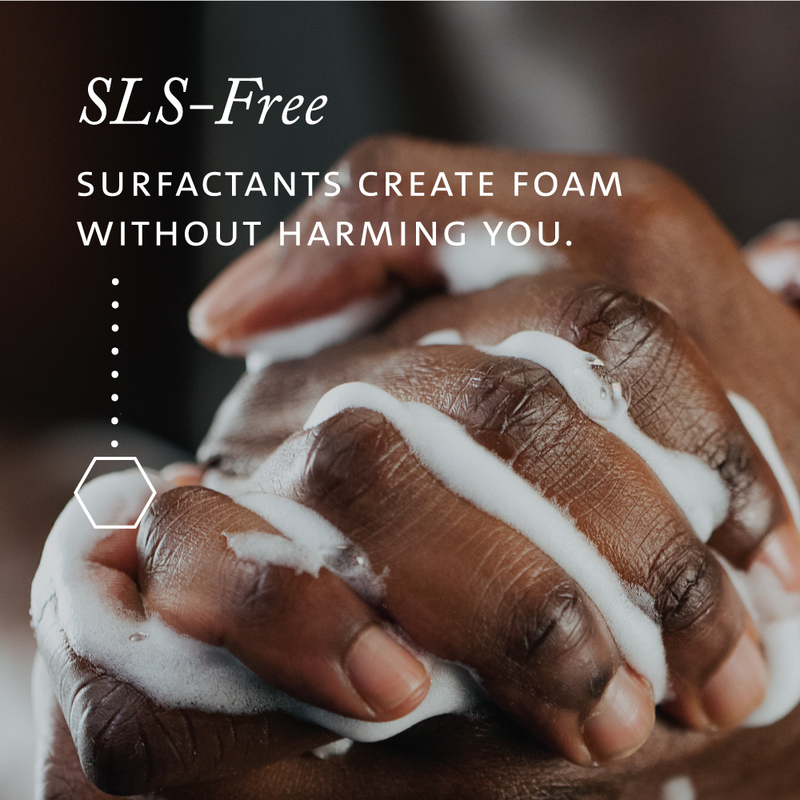 By relying on natural, plant-based surfactants and aeration to create a foam, we’ve blended soaps and cleansers that are rich enough to be used as a shaving cream, all without the use of harsh foaming agents. This list is just a starting place: there’s many more resources available on what to avoid, but we believe the best way to protect your overall well being is to choose 100% natural products, 100% of the time. We are proud of the fact that all our product labels list every single ingredient, so you know exactly what you are using. 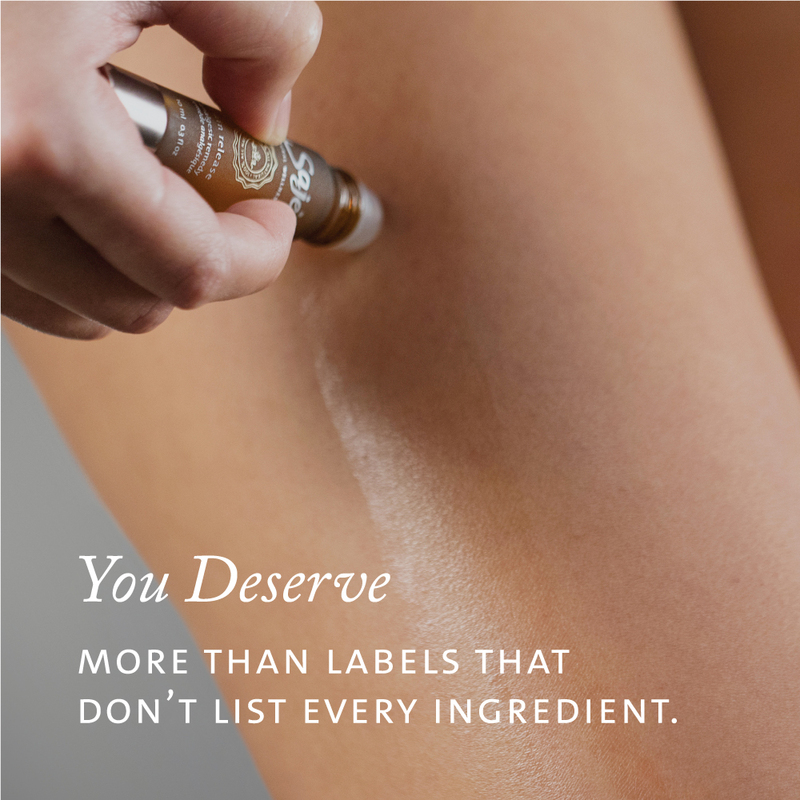 For all of your product choices, get curious about the ingredient lists. If there’s anything you don’t understand on a label, ask for clarification. If you don’t get information that puts your concerns to rest, don’t use it: it’s that simple. When you pay attention to your products, your body benefits from less synthetics, less side effects and less toxins.